Earlier this year Coventry University unveiled plans for a new multimillion pound centre of design excellence – the National Transport Design Centre. It will support UK innovation in the transport industry and boost efforts to bridge a shortfall in essential creative skills. 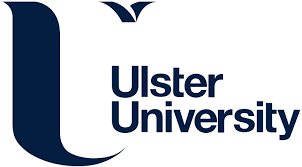 The university also runs an Automotive and Transport Design Course which supports students to explore the cars, and transport systems, of the future. Students on this course are working with the Low Carbon Vehicle Partnership (LowCVP) to reduce the emission of greenhouse gases from vehicles. They are developing feasible ideas and concepts for new-generation low carbon vehicles. These take up far less road space, are much lighter than conventional small cars and are aimed particularly at young and urban users worldwide. They have the potential to improve the quality of life of everyone working and living in our communities. 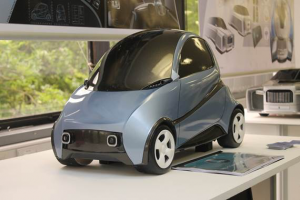 The concepts the students produced were displayed at LCV CENEX 2015, the UK’s annual Low Carbon Vehicle Event and seen by delegates from Industry and Government. One of the designs, Sultan Lohar’s ‘Orb’ (pictured), is for a 2-seater L-category vehicle combining a clean electric drivetrain and lightweight body to create the ultimate urban vehicle. Return to the Making places page.